The corona discharge from a Wimshurst machine. 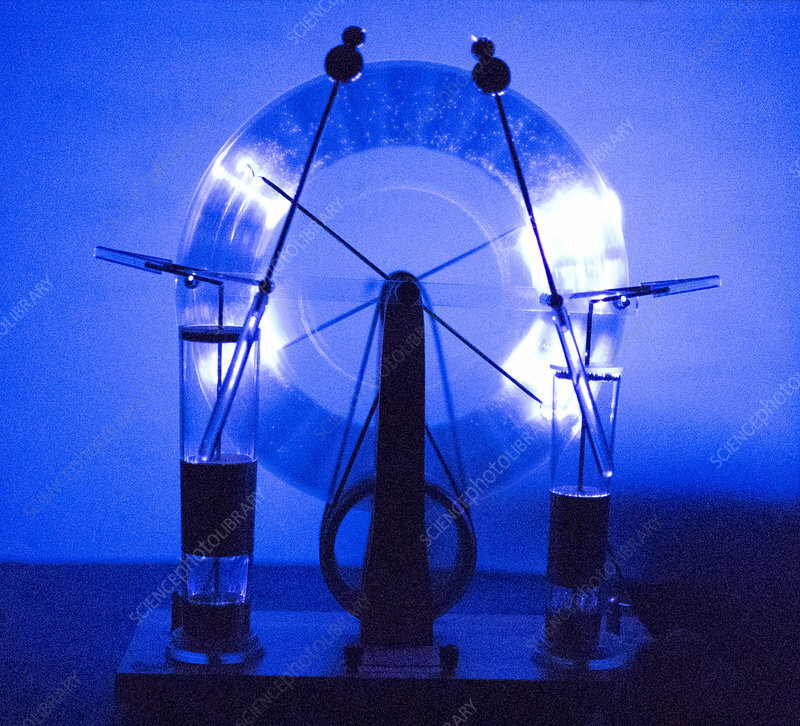 This machine glows as the high voltage from the static electric generator ionized the surrounding air. This image was taken with a modern camera able to photograph at very low levels of light. This effect is bright enough to be observed with human eyes in a very dark room.